No partner necessary. Sitable for children 3 - 8 years old. We will be building on what the kids have learnt from our beginners class, improving the way they dance the Cha cha and Waltz, the Samba, Jive, Quickstep & Tango will also be covered in more details. We will also cover other skills that are essential in dance including rhythm, presentaion, performance and listening. The children will learn how to work together to perform a formation routine. All students wil take part in our end of year performance in June. Children who have reached a certain standard, will be invited to take part in competitions. Please click here for more information on competitions. No partner necessary.We will be covering some of the 10 Ballroom and Latin dances in details. All students will take part in the end of year performance in June where they will be performing a formation routine. Students who have reached a certain standard will be asked to will be invited to represent Wicklow Latin Dance in competitions. No partner necessary. Sitable for children from 8 - 11 years old. We will be introducing children to the rhythm of Ballroom and Latin Dancing. For the younger dancers, we will be concentrating primarily on Cha cha and Waltz, with a fun introduction to Samba, Jive, and Quickstep. For the older dancers, we will be concentrating on Cha Cha, Samba, Waltz & Quickstep. We will be laying the foundation of ballroom and latin dancing covering rhythm, presentaion and listening skill. All students will take part in our end of year in June. Children who have reached a certain standard, will be promoted to the improver class (additional tuition fee applicable) and will be invited to participate in competitions. Please click here for more information on competitions. Ballroom and Latin dancing is a fun way of getting children active. Independent research done in the UK suggests that Ballroom and Latin dancing helps improve communication skills, coordination, concentration, behaviour and fitness levels. Even UK politician Ann Widdecombe encouraged children to take up ballroom and Latin dancing because of all these benefits that Ballroom and Latin dancing can bring. Wicklow Latin Dance is a competitive Ballroom and Latin Dance school. 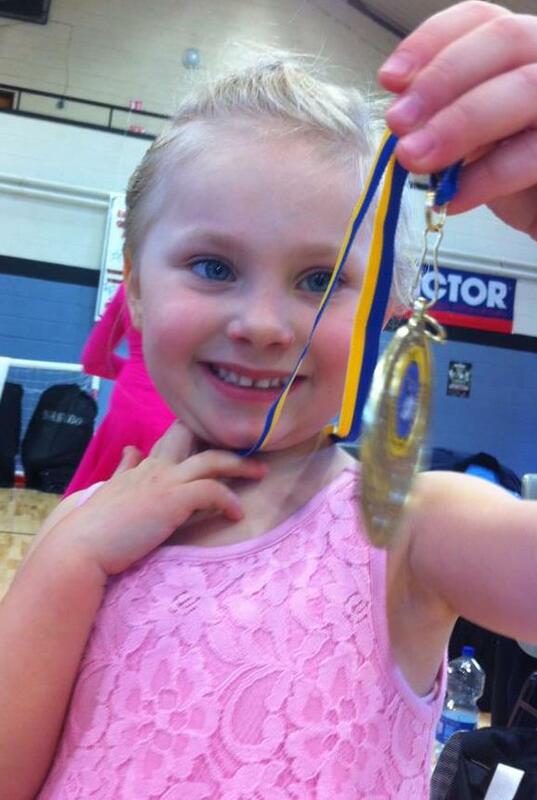 All our children classes are structured with competitions in mind. We find that the competitions help children to focus on their learning of Ballroom and Latin dancing, teach them about presentation of one self, sportmanship, raises their confidence and self esteem. Once a child has reached a certain level, he /she will be asked to join our competitive team whatever their age. In Wicklow Latin Dance, we also believe that every child should have the chance to show off what they have learnt in our classes. Therefore, we always organise a end of year show in the summer in which all students will take part. Wicklow Latin Dance is the dance school chosen by East Glendalough School as the provider of their Latin American Dancing course as part of their transition year programme. Students each year are put through a 8 week Latin American dancing course. By the end of the course, the best couples are chosen to perform at the East Glendalough School's open evening to show case their new skill. We have received great comments from the school. In Wicklow Latin Dance, we have various children classes to suit different levels and ages described below. Our students usually use the dance classes as an opportunity to dress up. So usually grils would come to the lessons in a dress or skirt with leggings or tights. This is however not Wicklow Latin Dance's dress code. Children can dress in whatever that they feel comfortable in. Shoes wise - put them in street shoes (ballet pump like street shoes would be best) initially, once you are sure that they are to continue with the lessons, then invest in a pair of ballroom dance shoes. They are available to order from Wicklow Latin Dance from €65. See our Shoes and Costumes page for details. Which class is suitable for my child? It depends on the child's coordination and concentration. In Wicklow Latin Dance, we have various classes for children, so we will assess your child's ability and advise you as to which class is best for your child. In Wicklow Latin Dance, we try our best to have a constant communication with the students' parents. In order for a student to progress steadily in their dancing, it is essential for the parents to encorage and reinforce what he / she has learnt in the class. For example, a student's posture would not improve simply by coming to our classes once a week, it requires constant reinforcement from the parents at home. Therefore it is essential for us to have constant communication with the parents. If you as a parent have any problems or questions, you are always welcome to call us during the week or after the class to talk them through. When will my child start competing? We have competitors from 3 years onwards. There are competitions to suit your child's age and ability. Please see our competition information page for more details. 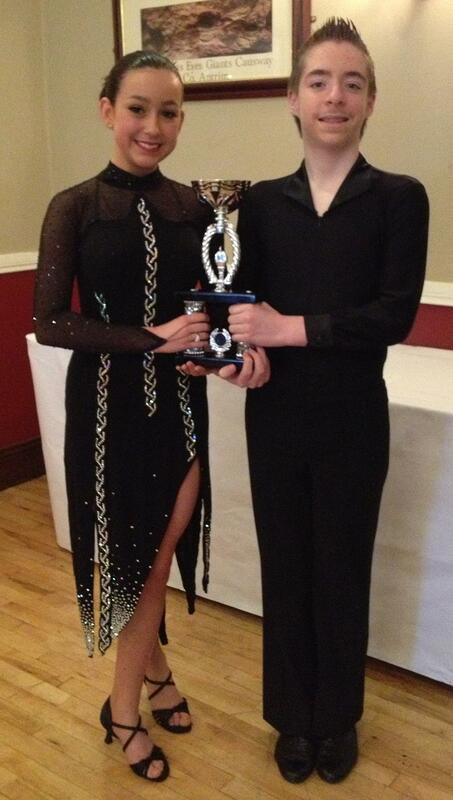 Costumes for competitions and shows are availavle to hire or purchase from Wicklow Latin Dance. See our Shoes and Costumes page for details. No partner necessary. Sitable for teens and adults from 12 years and older. We will be introducing the rhythm of Ballroom and Latin Dancing, concentrating primarily on Cha cha, Waltz, Samba and Quickstep. We will be laying the foundation of ballroom and latin dancing covering rhythm, presentaion and listening skill. All teen students (optional for adults) will take part in our end of year in June. No partner necessary. Sitable for children from 3 - 7 years old. We will be introducing children to the rhythm of Ballroom and Latin Dancing. We will be concentrating primarily on Cha cha and Waltz, with a fun introduction to dancing. We will be laying the foundation of ballroom and latin dancing covering rhythm, presentaion and listening skill. All students will take part in our annual show in May. Children who have reached a certain standard, will be promoted to class at the next level (additional tuition fee applicable) and will be invited to participate in competitions. Please click here for more information on competitions. FIT4DRUMS classes are fitness classes that utilities drumming to get you fit. At the same time, you will be learning the classic drumming rhythms. Drum like a rock star and get fit and happy at the same time. Drumming triggers the release of endorphin which makes you happy and you won't realise that you are working out!! Drumming also improves coordination and rhythm which in turn plays a big part in improving general intelligence. Therefore we have brought out FIT4DRUMS for kids to stimulate young minds as well as keeping them fit. 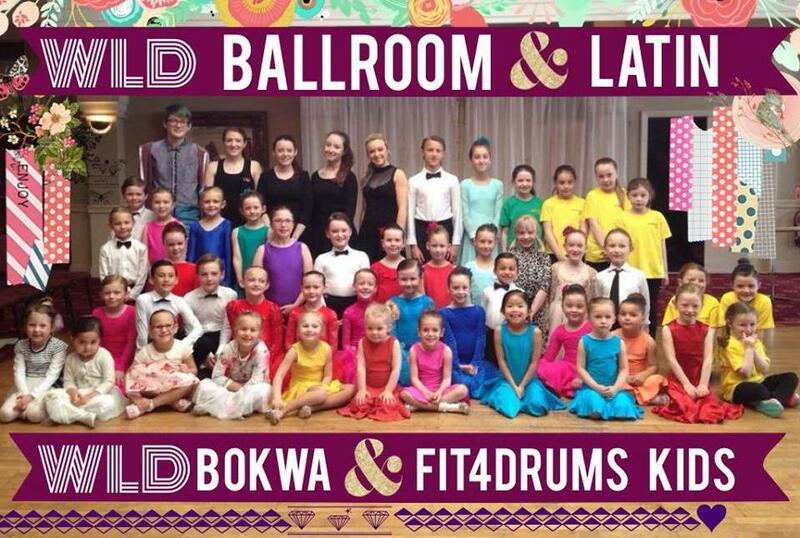 WLD instructors are the first and only FIT4DRUMS instructors in Ireland having learnt from the creator of the program (professional drummer on the Lion King in Hamburg, Germany). We are using the specially designed award winning FIT4DRUMS drums in our FIT4DRUMS classes.